Daiwa BG Series Reviewed & Compared - Which Size Suits your Needs? Daiwa BG Black Gold Spinning Reel Series offers the best value for a high-quality fishing reel in history! You may not get this quality in any other $100 reel. These affordable fishing reels are built better than any under $250 reel. They are even better than Stella, Saltiga, and Stradic. 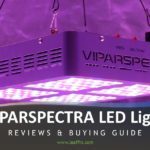 It feels like a nicely-put-together reel, and the specs suggest it will provide years of honest service. 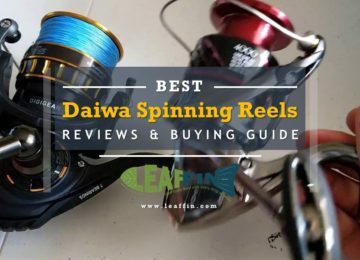 It shares many of the features of Daiwa’s more expensive spinning reels, such as tough threaded handle (just like Saltiga), Genuine stainless NMB bearings (just like my Stella), Air Rotor (but in ‘Graphite’, not ‘Zaion’), rotor brakes (to stop the rotor turning when the bail is open), all-metal body & rotor, a braid-ready spool & roller and fantastically smooth carbon drag system; although it misses out on Air Bail. To top it all off, they look awesome. 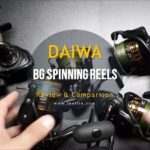 The Daiwa next generation of BG spinning reel series comes in 10 models ranging from freshwater ultralight actions to saltwater heavy big game models. The three gear ratios of models range from 1500 all the way through an 8000 which means that you can find the right size for almost all of your fishing needs. The BG2500 model fits 300 yards of #15 braid and is your go-to reel for heavy freshwater and light inshore fishing. The BG3500 size fits 300 yards 20# braid perfectly for most inshore fishing. The BG4500 model fishes 350 yards of 40# braid and handles dorado, school tuna, yellowtail, and sails with its awesome smooth drag. Daiwa BG spinning reel is manufactured with a machined aluminum providing strength and internal part stability. 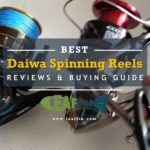 Daiwa has black anodized the body and body cover of the reel that makes it more durable in the form of corrosion and scratch resistance. The anodization process is more effective than paint/coating as it allows for better adhesion to the aluminum and will not peel enhancing the brilliant look of the BG spinning reels. Daiwa BG series is equipped with the largest drive and best performing gear in the history of Daiwa spinning reels. This oversized gear increases gear-tooth contact points, providing smoother and extended gear life as well as increased torque and more power. The Screw-in-Handle design of Daiwa bg offers zero movements between the handle arm and main gear. This minimal movement gives the angler both control and confidence when rotating the handle. The weight of the Air Rotor is up to 15% less when compared to ordinary rotor designs. The unique shape eliminates unnecessary weight and disperses the stress more evenly throughout the rotor for maximal strength. Daiwa has maximized core diameter of the spool in bg series that allows the line to flows freely in larger coils and produces less line memory coil. Combined with reversed taper mean that there is no dead line buried in a deep core. You can fill it with the 100% usable line right up to the edge of the spool lip without any fear of twist/tangles. This also offers lesser casting friction for easier and longer casting. We have narrowed Daiwa models down to common applications on the basis of sizes. 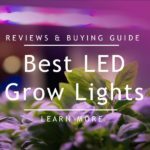 This guide will help you find and choose the best fishing reel for your needs. Common Applications (Guide only): Small fishing reel mostly suited for light fishing in lakes, rivers, bays, harbors etc. Popular for fish type (most common species): Trout, Flathead, Whiting, Luderick, Bream, Bass, Perch. 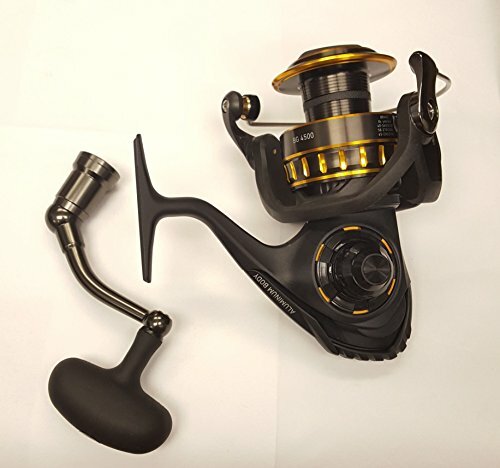 Right fishing rod for this size reel: As the 1500 sized model is quite small, a 6-7 foot long rod would typically pair this reel that has a fishing line rating of anywhere between 2-4 lb. The right fishing rod for this size model: A 2000 sized reel ideally will suit a fishing rod between 6ft – 7ft 6 inches in length that has a line class rating somewhere between 4-1 lb. The fishing rod for this size reel: 2500 size reels suits best for anglers using a 6-7 ft long rod which have a line rating of around 4-10 lbs. This impressive small reel is ideal for spin or soft bait fishing of any sort, in both fresh and saltwater. It is good for micro-jigging too, with retrieve of 5.6:1 . The drag is silky smooth all the way and puts out a max of around 6kg. The right fishing rod for 3000 Size reel: A 6-7.5 ft long rod would normally be most suitable for pairing up with this fairly light class reel. The rod should have a line class between 6-14 lbs. This can be used as a lightweight blackfish reel on 9-10ft rods which are rated to 8 lbs. The fishing rod for 3500 sized reel: A 6-7 ft rod will pair up nicely with this reel that has a line class rating anywhere between 6-14 lbs. However, you can also use this size on a light 10ft rod that is rated to around 8 lbs if you are chasing blackfish or whiting. Common Applications (Guide only): Medium fishing reel mostly suited to lakes, rivers, bays, harbors, light offshore boat fishing etc. 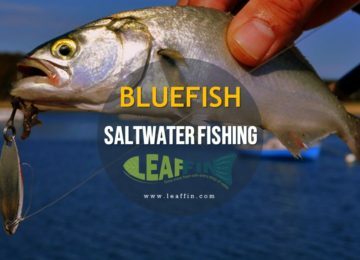 Popular for fish type (most common species): Tailor, Morwong, Mangrove Jack, Snapper, Mulloway, Bone Fish, Cod, Drummer, Barramundi. Remember you can use this reel for several other applications as well because we have listed only most common ones. Fishing rod for a 4000 reel: A medium action 6-7 ft (barra/snapper style) rod with a line class of around 8-20lbs will generally suit this size reel model. A 8-10 ft (light surf) rod with a light line class rating of around 6-10 lbs will also pair up nicely with this reel. 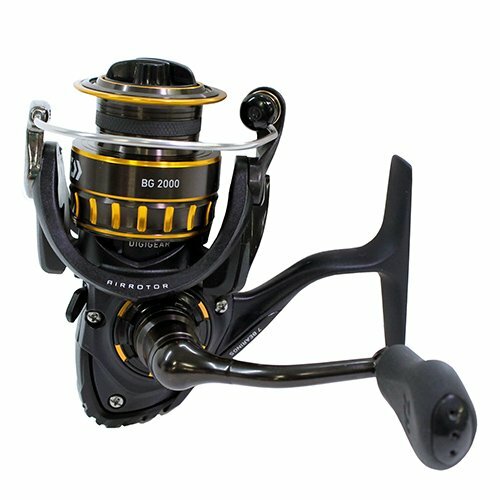 Fishing rod for 4500 model: A 6-8 ft long rod with line rating of 8-20 lbs will suit this great mid-size reel. It will also be fine to use on a light surf rod rated up to 10 lbs. Right fishing rod for 5000 Sized reels: The 6-7 ft long barra or snapper rods rated up to 20lbs or light-med 10-11 ft surf rod rated up to 12lbs will nicely pair up with this medium size reel. A 8-9 ft general purpose rod will also go well. Common Applications (Guide only): Large size reel commonly used for boat fishing, beach or rock fishing. Fishing rod for 7000 sized reels: The (spin models) boat fishing rods, 10 or 12-foot beach rods, or even 8-9ft general purpose rods are suitable for this sized reels. A 400 yds of reaction tackle 80lb braid on it casts very well. 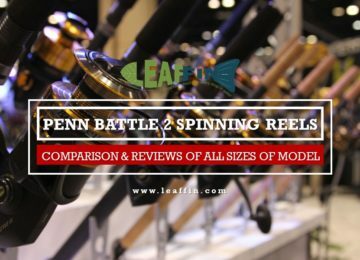 It is a bit heavy but the quality and size you get with this reel are completely unmatchable. No Penn or Shimano reel in $100 price range will come close to the drag pressure or spool size this has. Even, some 500 dollar reels don’t perform this well. Daiwa Series offers the best value for the money and a lot of options given the range of reel sizes. The best feature of this reel is that you can just remove the bail trip ramp to make it a manual. These reels come with a one-year factory warranty. 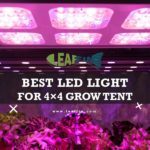 You can use it for everything including saltwater (e.g. catching bluefish) and freshwater.